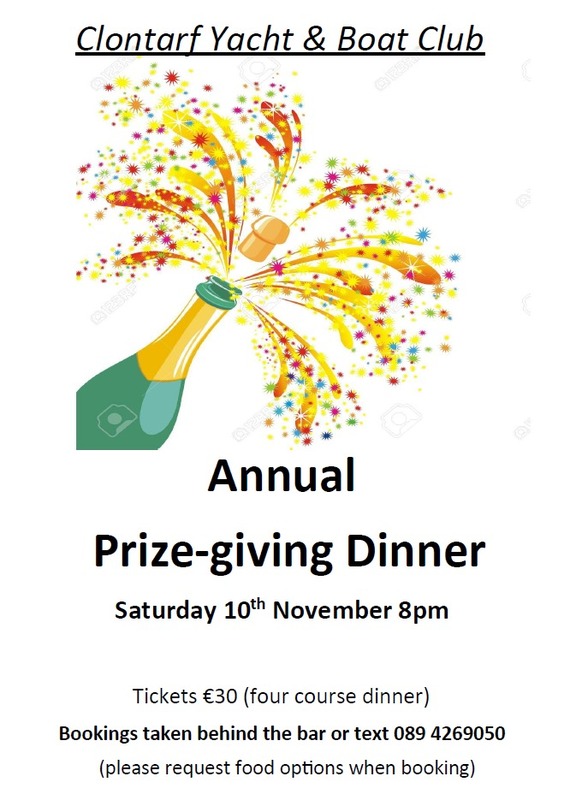 The Clontarf Yacht & Boat Club annual prize-giving dinner takes place on Saturday 10th November 8pm. This is the Club's annual dinner and an event not to be missed. All welcome, friends, family, sailors and non-sailors alike.